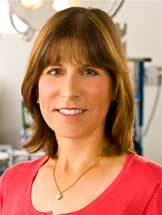 Dr. Hertz has dedicated herself to the practice of breast surgery since joining Montclair Breast Center in 1994. She received her undergraduate degree from Cornell University where she was elected Phi Beta Kappa and received her medical degree from Albert Einstein College of Medicine. She completed her residency and chief residency in general surgery at the Montefiore Hospital and Medical Center. Dr. Hertz’s interest in breast diseases began early in her career a young attending surgeon and Assistant Professor of Surgery at the Albert Einstein College of Medicine, where she rose to the position of Director of the Breast Service. Her expertise in breast care is highly regarded, earning her a listing in NJ Magazine’s Top Doctors, “Fifty Women You Should Know” and an appearance on “Good Day New York.” Most recently Dr. Hertz was selected as a 2017 “Top Doc” for Montclair Magazine. Dr. Hertz is an author of multiple research publications and has been involved in medical research on various aspects of breast disease.